Designer Roman Kryzhanovskyi was nice enough to create a complete iOS UI kit for the new Adobe Comet/Experience Design software. This is completely free to download from Dribbble if you want to test it out. People who have been following the Project Comet news should know that Adobe revealed a name changeover Adobe XD sometime in mid-March. This was the first public preview of Adobe’s newest program and it garnered mixed reviews. There’s plenty of room for a program like Adobe Experience Design in the current design software market. Most UI/UX designers have moved over to Sketch because it’s quicker and easier to use. But if Adobe can get XD right then it may offer some tough competition. Roman’s UI kit freebie was initially created with Project Comet beta. This means the filetype was initially a .design file, but there’s a brand new .xd file included for Adobe Experience Design users. 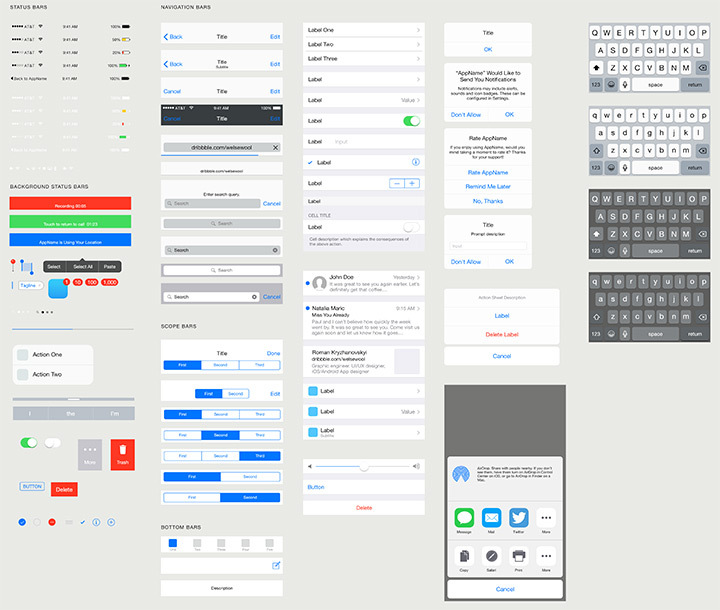 Please note this UI kit has been released for free without attribution for personal use only. If you want to use this UI kit for commercial projects sent Roman a quick e-mail from the Dribbble shot page—or just create your own XD UI kit! Adobe has been hard at work pushing new updates for each month of the public preview. 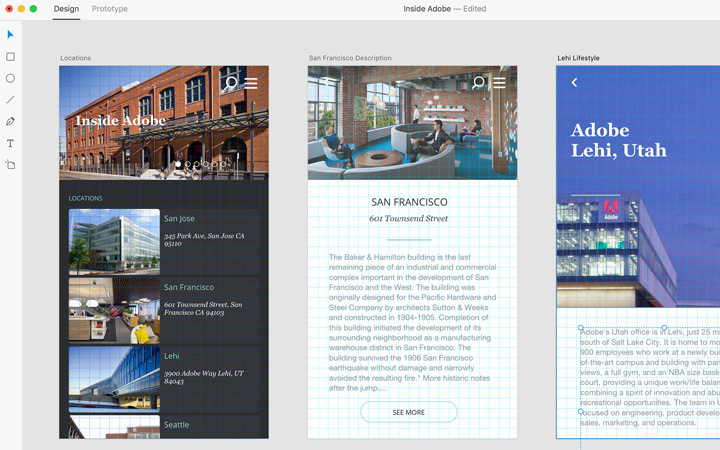 Adobe XD is here to stay and there’s a lot of excitement around the brand. Can it compete with Sketch or will it just become a watered-down design tool? The XD beta preview was missing so many features that it’s difficult to say. But with passionate designers like Roman willing to release design freebies for XD users, I’d wager this program has a very bright future.